What a fabulous capture, where is the food! What a cool shot. They can be very noisy. Such a great capture! I'm jealous! 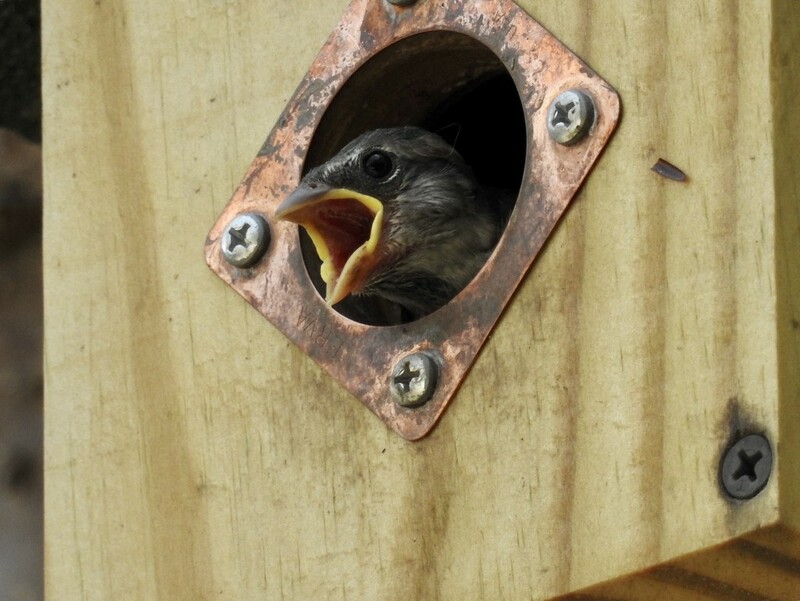 We had babies in a birdhouse last year but I never saw them stick their heads out!